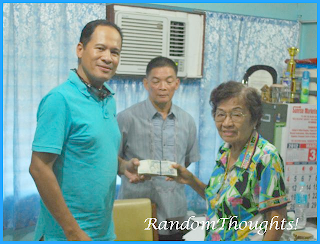 The La Carlota City Association of America (LCCAA) has donated Php50,000.00 to Doña Hortencia Salas Benedicto National High School - School Governing Council, posted Marlon G. Rojo, one of the members of THE PILLARS, SGC of La Carlota High School/La Carlota City High School/Doña Hortencia Salas Benedicto National High School in the Facebook closed-group page of LCHS/LCCHS/DHSBNHS. Rojo informed that Denny Castañeda, the school principal, received the money at his office through Mrs. Julia Heria, former teacher of the said school. After proper accounting, the money was deposited to DHSBNHS SGC account at the Philippine National Bank (PNB), La Carlota. "This will be used to erect five spans of high school perimeter concrete fence," wrote Rojo. The generosity of LCCAA is gratefully acknowledged by DHBNHS SGC. This "altruism" is a shining example for everyone, as pointed out. LCCAA is one of those generous external stakeholders that looks after the well-being of the school when regards to its functional facilities worthy to influence the studies of the student. Its help is a generous support to the needs of the high school students and the ultimate improvement of the level of performance and achievement of the students as envisioned by the PILLARS. Castañeda's initiative and Rojo's consistent communication with Mrs. Angelina Golez-Salgado, head of LCCAA and his English teacher before, the donation was realized. LCCAA is based in Carlson, California, USA. "Mr. Castañeda and myself were in communication, mostly by phone, with the officers of the association headed by Mrs. Angelina Golez-Salgado. We called them, they called us," told Rojo this blogger. "Mr. Castañeda informing me that the association would like to contribute. I called up Mrs. Goles and also tried to talked [sic]to association treasurer Lemuel Cabuguason, son of Mr. Faustino Cabuguason," informed Rojo further. The members of the School Governing Council (SGC) need to focus their energies. And this could be done as what Rojo firmly believes by "helping and strengthening THE PILLARS and make it a true bastion of resources for the welfare [of] our students." The high school is 65 years old. It has served the needs of generations of students and produced myriad graduates over the last 63 years and many of them are scattered and working everywhere in the world. As started by its concurrent school principal, Mr. Castañeda, Ms. Socorro Lucenio, and Marlon G. Rojo by putting a seed capital of Php4,000.00 each and the Php50,000.00 donation of LCCAA, the high school could reach greater heights as expected. It could excel in the education of the children, children's children. The school, the Alma Mater is just waiting for the alumni and concerned stakeholders to take part, to take action. 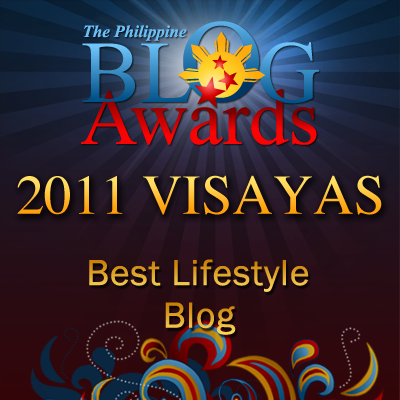 Be part of THE PILLARS as what its battle cry says so.